Dealing with a mental health issue can be a frightening, lonely and stigmatising experience. It is common, when facing difficulties, to feel you're the only one, that no one can possibly understand, or that you don't know where to turn for help. You might be looking for understanding - an answer to the question of "why?" or "why me?". Difficulties with our mental health can have a significant impact on daily life. Suddenly, everyday tasks can seem like climbing Everest and activities you used to be able to do with ease are now daunting, or you may have stopped altogether. People often come to see me for reasons just like these; you are not alone and things can change. By working together, we will gain a better understanding of your distress and build skills and strategies to cope with your specific difficulties. Whilst I offer a range of evidence-based therapies (see below), my work is always tailored to the particular needs of the individual. In order to benefit most from psychological therapy, I believe a clear focus to our sessions is central. I therefore encourage those with whom I work to identify aims and goals to ensure our work together is as useful as possible. For any therapy to be effective, a strong therapeutic relationship built on empathy, warmth, collaboration and trust is paramount. This is central to my working ethos. I have over eleven years of experience working within a range of mental health services. I am currently employed in the NHS as a Principal Clinical Psychologist, working with adults experiencing severe and enduring mental health difficulties. Within this role I also supervise and teach both qualified Clinical Psychologists and those training to become Clinical Psychologists. Should you have any questions that are not answered here, please do not hesitate to get in touch. This training is accredited by the UK's Health and Care Professions Council (HCPC) and the British Psychological Society (BPS). UCL is one of the top five universities in the world. This training is accredited by the British Psychological Society (BPS). Warwick is one of the top ten universities in the UK. 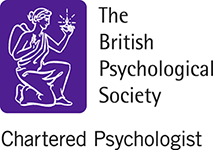 Chartered membership reflects the highest standard of psychological knowledge and expertise. It is the gold standard of the BPS, demonstrating a commitment to professional development and high ethical standards of practice, teaching and research. The HCPC is a regulator set up to protect the public. They keep a register of health and care professionals who meet stringent standards for training, professional skills, behaviour and health. Only those registered with the HCPC are allowed to use the protected title "Clinical Psychologist". 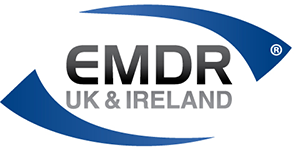 This is the professional Association of EMDR clinicians and researchers ensuring the highest standards for the clinical practice of EMDR in the United Kingdom and Ireland. As a Clinical Psychologist, it is critical to be up-to-date on current research and best-practice. I regularly take part in further training and learning opportunities, such as conferences and other continuing professional development events. 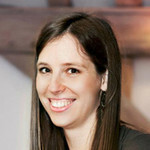 As a Clinical Psychologist, I am trained to work in a number of different talking therapies. My profession emphasises scientifically-oriented yet compassionate working. Therefore, my practice is always informed by the most up-to-date research and evidence-base, such as the National Institute for Health and Care Excellence (NICE) guidelines. In line with this, my primary model of working is within Cognitive Behavioural Therapy (CBT). However, I also have extensive experience in using "third wave" Cognitive Therapies including Mindfulness-Based Cognitive Therapy, Metacognitive Therapy, Dialectical Behaviour Therapy and Compassion Focussed Therapy. I am also fully training in Eye Movement Desensitisation and Reprocessing Therapy (EMDR) and have an interest in using these skills to help those who have experienced trauma. CBT is based on the principle that psychological distress results from unhelpful, negative patterns of thinking. This in turn generates difficult emotions as well as often counter-productive forms of coping (behaviour). CBT seeks to identify unhelpful thinking and behaviour cycles, as well as develop more useful ways of managing. It is a psychological treatment that has been shown to be effective for a wide range of mental-health problems. CBT is recommended by the National Institute of Clinical Excellence (NICE) for anxiety disorders and depression. EMDR is a therapy used to treat a range of psychological difficulties that typically originate in trauma, such as direct or indirect experiences of violence or accidents. EMDR is recommended by the National Institute of Health and Care Excellence (NICE) for the treatment of Post-Traumatic Stress Disorder (PTSD). The goal of EMDR therapy is to properly process traumatic memories, reducing their impact and helping the person to develop coping mechanisms. This requires a person to recall distressing events while receiving bilateral sensory input, which typically involves side to side eye movements. EMDR is not considered a form of hypnosis. You remain fully conscious and aware at all times during the therapy and have total control over what is happening. With repeated sets of eye movements, the memory tends to change in such a way that it loses its painful intensity and simply becomes a neutral memory of an event in the past. Other associated memories may also heal at the same time. This linking of related memories can lead to a significant improvement in many aspects of your life. MBCT is also based on the theory that unhelpful thought patterns lead to psychological distress. However, it differs from more "traditional" CBT in its focus and techniques. MBCT was originally designed specifically to help people who suffer repeated bouts of depression. Whilst it is recommended (by NICE guidelines) for preventing further relapse of depression, it has also been shown to be helpful for a range of anxiety difficulties, as well as coping with physical difficulties such as chronic pain. MCT focusses on addressing particular patterns of thinking that are thought to lead to the maintenance and worsening of emotional suffering. This includes thinking and attention that become fixed in patterns of brooding and dwelling (such as spending long periods thinking over past regrets or worrying excessively about the future). MCT has been shown to be most useful for depression and a range of anxiety disorders. DBT is a treatment intended specifically for individuals with self-harm behaviours. Many (but by no means all) people with these behaviours meet criteria for Borderline Personality Disorder (BPD). Difficulties with managing very intense emotions are central to BPD. In DBT you learn how to control your emotions, first by recognising and accepting them and then by working to reduce their intensity and to settle them. CFT aims to teach us to understand our minds better and cultivate them so that our unpleasant emotions are easier to manage, and our positive and pleasant emotions are easier to generate. The approach helps people develop and work with experiences of inner warmth, safeness and soothing, via compassion for both self and others. This therapy is particularly useful for those who experience specific difficulties with shame and self-criticism. I am available at The Eaves Clinic in Guildford on Mondays 13:00 - 20:30, and Thursdays 09:00 - 12:30 and 17:00 - 20:30 . Other times may be available on request. £95 for a 60 minute session. The rate is the same for both assessment and treatment sessions. Payment for the first session is due on the day by credit / debit card, cash or cheque. For ongoing sessions, I can also accept payment by direct debit or bank transfer. Please note that the full session fee will be charged for appointments missed or cancelled without a minimum of 48 hours prior notice. I am registered with all major health insurance providers. If your insurer is not listed below, please do get in touch as it is likely that I will still be able to accomodate. To discuss how we could work together, or to make an appointment, please don't hesitate to contact me using the details below.